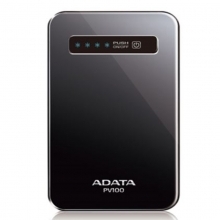 The PV100 provides you with the power to keep your smartphone or tablet operating and connected. Portable and handy, it is the perfect accessory for those who embrace the modern mobile lifestyle. The PV110 Power Bank is never simple. The metallic shell with brushed aluminum texture and stylish colors makes it extremely chic. It has a high capacity of 10400mAh and is equipped with dual USB ports that provide 3.1mAh of output, which can charge your smartphone and tablet simultaneously. Handy Power Source Direct power source for mobile devices such as handhelds, blackberry, cellphones, PSPs, iPods, and digital cameras*. Use in over 150 Countries** Four (4) supplied plug types for North America, Europe, Australia, UK and other countries. Charges two USB devices simultaneously. 2.1A for charging devices that use USB. Will charge iPad, iPhone, iPod, Galaxy phone & tablets etc. 2.1A when using one USB port. 1A each when using both USB ports. Travel charger for two high-powered USB outlets. 2.1 Amp + 1.0 Amp USB output current for tablets, mobile phones and other devices. Worldwide interchangeable plugs included (UK,EU,USA + Aus plugs. 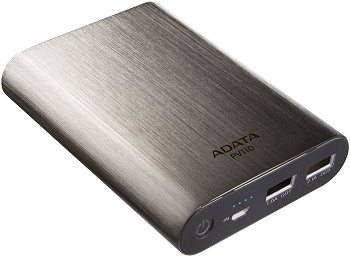 Lightweight and incredibly compact in size - ideal for travel and business. Compatible with iPad, iPhone, iPod, Samsung Galaxy, HTC, Sony Xperia, Nexus and more! RECELL Limited Copyright © 2016 All rights reserved.